It’s easy to think about all the things we “should” do to be ready for an earthquake. Here are a few simple things you can do today to be a bit more prepared for any natural disaster. Water: Have enough for three days. That’s 12 litres per person. Food: Have enough for three days and choose non-perishable items that are easy to carry, nutritious and that you like to eat. Protein, energy bars, or other meal replacement type items are a great choice. Remember you may not have access to cooking supplies or a stove so choose items that are ready to eat or drink. Medications: Again, have enough for three days. And, make a list of your prescription medications. If you have a pet, make sure you include some pet food and any pet medication you would need. Important documents: Make copies of your driver’s license, passport, and birth certificate, and keep them in a safe place away from home. It is also useful to include a spare set of keys for your home and vehicle, and some cash in small bills. First aid supplies, sanitation and hygiene: Include items like household bleach, soap, hand sanitizer, toilet paper, and towels. Tools and supplies: Include items like a utility knife, manual can opener, a flashlight, batteries, a battery-powered or wind-up radio, scissors, and duct tape. Clothing and bedding: Ensure you have a change of clothes for each family member and blankets. Portable chargers for your phone: These are readily available, and you can keep them charged and ready to go in the event of an emergency where you may not have access to power. It will give you peace of mind that you will be able to communicate with family or emergency personnel if necessary. Take a look at the supplies you have in your vehicle as well. In an earthquake, you may not be able to get home for a day or two. There are also a lot of great options available for pre-packaged emergency kits, you can check the Red Cross for some examples. It is recommended to have one in your home, your car and your office. Once you’ve made your emergency kit, sit down with your family and come up with an emergency plan. Pick a meeting place for your family to regroup in case you have to evacuate. Pick a spot close to your home for sudden emergencies and one place outside of your neighbourhood in case you can’t all get home right away. Designate someone to pick up your children from school or daycare if you’re unable to. Make a list of emergency contacts, including local contacts like the police and fire department. Make sure to add the name of a friend or family member outside your province that each of you can contact to let the rest of the family know you are alright. Remember, in a major disaster, cell phones should be reserved for emergencies. Plan your evacuation route, including two or three different routes in case some roads are blocked. You will also want to take a look and ensure your home insurance includes earthquake coverage. At Square One, earthquake coverage is automatically included as an insured peril on your policy, with Guaranteed Replacement Cost for your home. Other home insurance providers will require you add earthquake coverage also. The cost of the coverage will be dependent on the level of risk associated with earthquakes in the area your home is located. Obviously, homes in BC would be cited as having a higher risk than homes in areas like Ontario, for example. In most cases you will see a significantly higher deductible listed for your earthquake coverage, listed separately from your standard policy deductible. Usually, your earthquake deductible will be on a percentage basis. For example, if the cost to rebuild your home is estimated at $500,000, and you also have $250,000 in coverage for your personal property, a 5% deductible on the value of your property would be $37,500. This is done with the expectation that in the event of a serious earthquake, the damage would be quite extensive and increase both the cost for materials and labour to rebuild your home. There can also be several options available for your earthquake deductible. Depending on the percentage of the loss you are willing to mitigate yourself, by choosing a higher deductible, you may see some savings on your insurance premium. 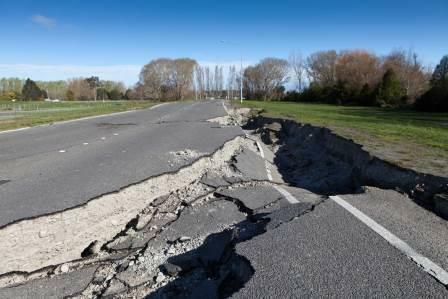 You would also want to confirm with your insurance provider what is defined as a single occurrence when considering an earthquake, as there is always the possibility of aftershocks. At Square One, with respect to earthquakes specifically, one occurrence is defined as all earthquake shocks occurring within a period of 168 hours while the policy is in force. It is also important to note that damage caused by tsunamis is generally excluded from your home insurance, even if the tsunami was caused by an earthquake. Your policy will cover loss or damage to your building, and personal property, as well as the cost to live elsewhere while your home is being repaired. For more information on the availability of earthquake insurance in Canada, or to get a home insurance quote, contact Square One at 1.855.331.6933.